I'm not sure its actually ok for me to be this obsessed with a collection, but if ASOS were a physical shop I think I may get arrested for shoplifting. 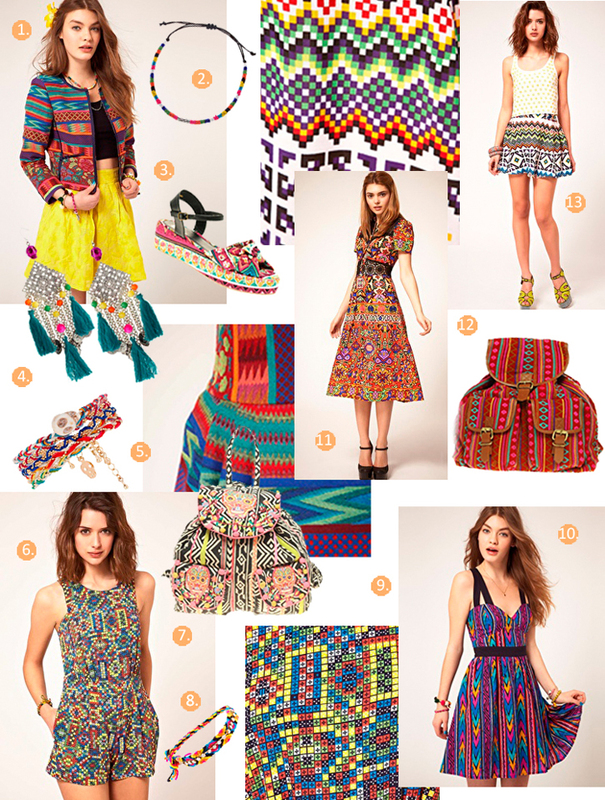 I don't just want, I NEED everything from the online shopping super giant's new Mexican Rave collection. I mean, check out those super colourful Aztec prints, those cool little skull bracelets and those tasseled earrings...oh yes please! I traveled around the fiesta swinging, tequila swigging country one summer just a few years back and have been addicted to everything Mexican ever since: huipil blouses, quechquémitl capes and rebozo shawls, Alfonso Cuarón, Frida Kahlo, ice cold margaritas, Antonio Banderas in El Mariachi... you name it, I love it. Let's face it, I've been traveling on a backpacker budget for ten months now with but a single bag to fill with beautiful ethnic threads, and seen as I'm soon to reach Australia I think it's about time someone took some pity on me and blessed me with a new ethnic inspired, fashion forward wardrobe...please? To see ASOS's full Mexican Rave Feature click here.